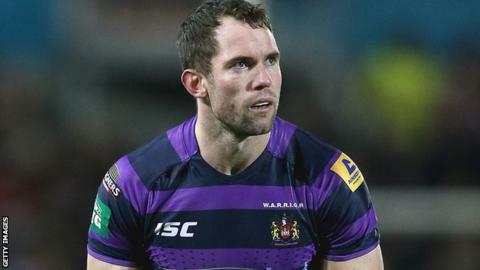 Pat Richards scored a try and kicked 12 points as Wigan survived a spirited first-half display by London Broncos. Iain Thornley, Josh Charnley and Michael McIlorum scored tries for the hosts, while Liam Colbon, Kieran Dixon and Chad Randall went over for Broncos. The visitors twice led in the first half before Sean O'Loughlin's try gave Wigan a four-point half-time lead. Sam Tomkins, Blake Green, Richards, Charnley and Thornley all ran in second-half tries to seal Wigan's win. But Broncos, now without a win in four matches, had held firm for the first 40 minutes and only a late burst set up Wigan's second victory this season. The home side scored the game's first try within the first two minutes as a clever pass from Richards, who also added the extras, saw Thornley go over. Tomkins provided the pass for Charnley to score, despite the attention of Dixon, although this time Richards missed the penalty attempt. England full-back Tomkins was then sin-binned for dissent to reduce the hosts to 12 and London took advantage when Colbon finished off a well-worked move against his former club, with Michael Witt adding the extras. And Wigan were made to pay for Tomkins' absence even further when Craig Gower's pace set up Dixon and Witt again found the mark to put Broncos 12-10 ahead. But no sooner had Tomkins returned to the field, his skills began the move for McIlorum to score and Richards kicked his second penalty from three attempts. Randall ran in London's third try after Tomkins saw his kick charged down, but O'Loughlin's try helped the hosts lead 22-18 at the break. Early second-half pressure by the Warriors saw Tomkins go over, although Richards missed the extras. Richards went over in the corner for a try of his own and was successful with the conversion to make it four from six attempts. London then had to defend with a man less as referee Robert Hicks sent Matt Cook to the sin bin for lying on in the tackle. Charnley had a try disallowed for obstruction before a bust from Tomkins set up Green for Wigan's seventh try. And Charnley and Thornley then added their second tries of the game as Wigan finally ran riot after some initial stubborn Broncos resistance. "The referees make mistakes just like players. They are incidents for me to sort out in the week and not for Sam to do it on the field. "He is a competitor, I understand he wants to win but he just cannot do that. I don't know what he said to the referee but it must have been severe for him to sin-bin him. "No matter what happens with decisions, referees don't do it on purpose. Sam just can't do it." "You don't get points for playing well in the first half. We had to get out and do the same in the second half and we didn't do that. "I get a response from these blokes everyday. We are not cracking, we are holding it together and we will find ways to get better and we will be okay. "We have had a bad few days and the players have been a bit down, but not on each other. They will be okay, we will all keep pulling in the right direction and we will have our moments." Wigan Warriors: Burke, Charnley, Crosby, Dudson, Farrell, Flower, Green, Hughes, McIlorum, Mossop, O'Loughlin, Powell, Richards, Smith, Taylor, Thornley, L.Tomkins, Tuson, S.Tomkins. London Broncos: Bailey, Bryant, Channing, Cook, Colbon, Dixon, Dorn, Fisher, Gower, Kaufusi, Krasniqi, Lee, Lovell, Melling, Randall, Rodney, Sarginson, Wheeldon, Witt.